General Electric is sending its troops to Colorado to conquer the thin film solar panel business. The 38th state will play home to a new facility that leverages the supermodel-thin panel know-how of PrimeStar Solar, which GE scooped up back in 2008. 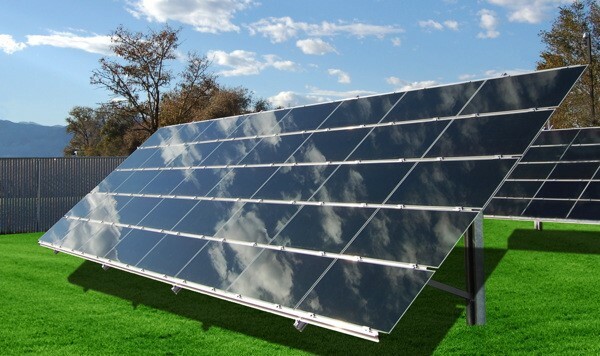 In traditional solar panels, sand is refined into silicon ingots, sliced wafers of which are then placed in a frame. The thin film process eliminates this, sandwiching layers of semiconductors between panes of glass -- saving time, money and, most importantly, energy. The factory will open ahead of schedule in 2012 and is reportedly capable of producing a new panel every ten seconds. You can learn all of that and more in the press release we've got for you after the break. GE's new factory will push out one solar panel every ten seconds originally appeared on Engadget on Mon, 17 Oct 2011 15:55:00 EDT. Please see our terms for use of feeds.